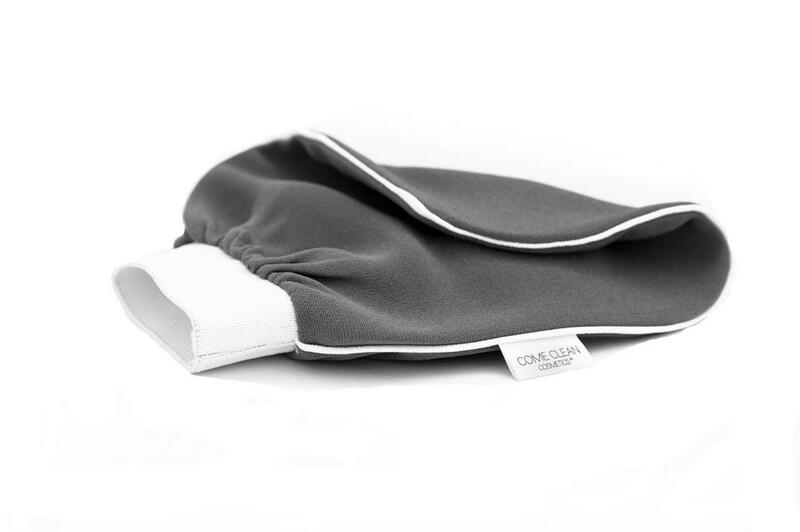 This sleek little grey mitt has been used for centuries in traditional European and Turkish baths to exfoliate the body, leaving it smooth and free of dead skin. I found that it works best used with only water prior to shaving. The instructions state that soaps and oils tend to create a film on the body that makes the mitt less able to do its job. After I rub myself down with the mitt I lather up with shower gel and shave as usual. It's really kind of amaze how much dead skin this is able to take off without being to harsh, and it leaves my skin incredibly soft. I'm concerned for its safety because I have seen my husband eying it, so I may have to purchase another. 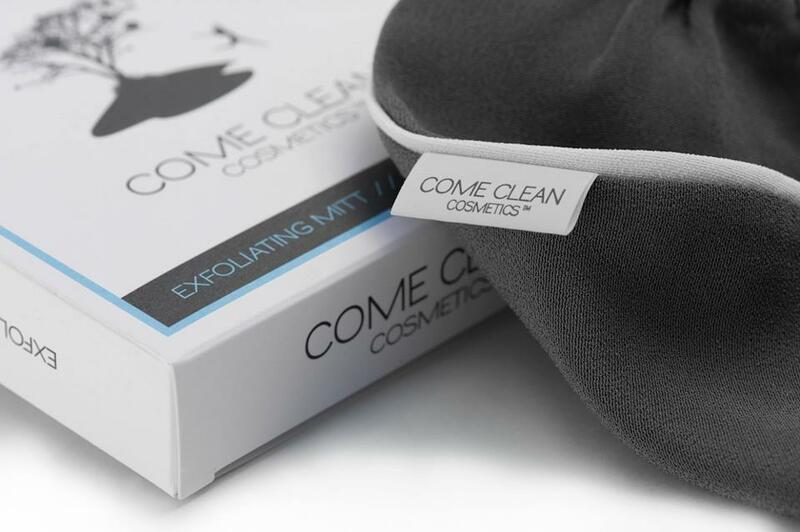 You can buy the Come Clean Exfoliating Mitt here for $29.99. Sounds interesting, I want one! Is it just for the body? Is there one for the face too? I'm obsessed with exfoliating too ;). I feel like my skin isn't well taken care of if I don't exfoliate it. I've never heard of Come Clean cosmetics I'm about to google it now.